Update Sept 2015: The Food Hub is up and running at 902 N Mangum Street! It's been named "Bull City Cool." 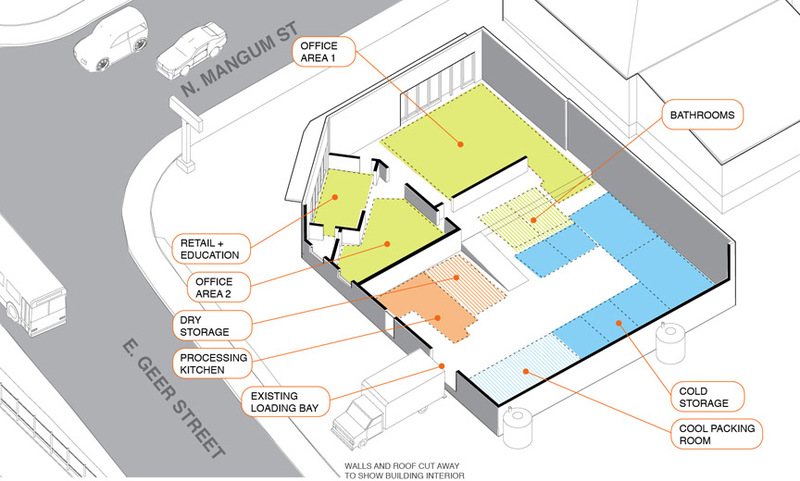 Working for Durham's Reinvestment Partners, this collaborative project with Jennifer Walker of Poiesis Design and Planning determined the feasibility of developing a 4500sf building into a community-based food hub. The Food Hub will include specific equipment, infrastructure, and support spaces for a range of start-up food businesses and farmers, as well as community service agencies that distribute fresh produce to low-income populations. Our recommendation, after examining a range of up-fit models and pro forma scenarios, is that the Food Hub establish its area of focus around particular needs of the local food system that are currently unmet and that also align with Durham's 2010 Farmland Protection Plan: cold storage, minimal processing , and small farmer aggregation. These functions fill the needs of many small and transitioning farmers, while providing the initial infrastructure for social entrepreneurs to create value-added and healthful products for local consumption, specifically geared toward low-income limited-access Durham residents. In Durham, two other successful projects in the 'food hub' world are Eastern Carolina Organics and The Cookery. The Food Hub at 902 aims to fill in the food system needs between their business areas, supporting non-profit food distribution, an intentional small farm produce aggregation model, and small food processor businesses that don't need a catering kitchen, but instead are looking for particular food processing capability like chopping, freezing, or fermenting. As of January 2014, Reinvestment Partners will be moving forward with development of the project. 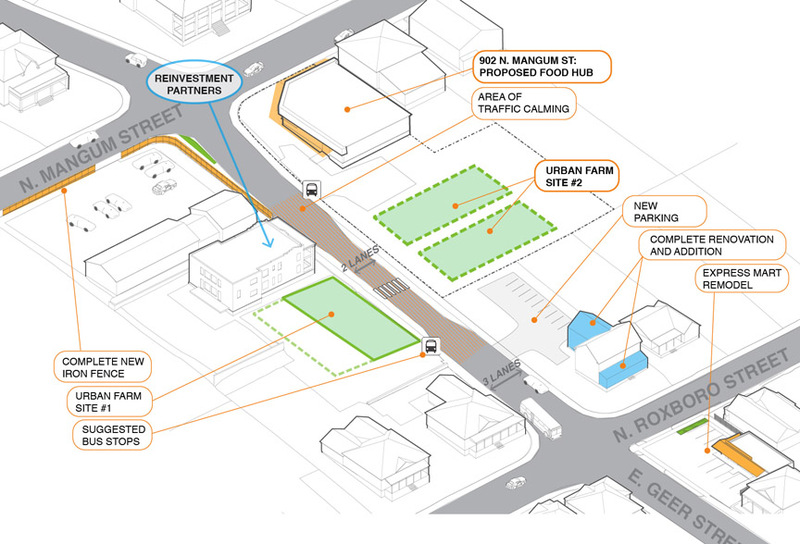 Community Food Lab will provide strategic support, consultation on the pre-design and interface with the project Architect, and help connect the Food Hub to other food system efforts on the block: a healthy corner store and urban garden spaces.